If your car is less than ten years old, chances are it came from the factory with a “security” system of some sort. But is it enough to keep you, your vehicle and your belongings safe? The truth is, most new cars roll off the assembly line with little more than keyless entry. Not only are they ill-equipped to protect your vehicle, these keyless entry systems lack even some of the most basic features common in aftermarket security systems. Factory systems use the ubiquitous car horn to signal an alert or press of the panic button. Aftermarket systems, on the other hand, use one or more fully adjustable sirens that draw attention and deter thieves. Motion sensors add additional protection by triggering the alarm if they sense movement within the car. This is ideal if you want to leave your top down or windows open, or if you need to protect an open cargo area. For added piece of mind, a back-up battery will keep the alarm powered even if the car's main battery fails. Door, trunk and hood sensors provide the level of protection not available in a factory-installed system. You can also choose additional protection like glass breakage, shock and tilt sensors. 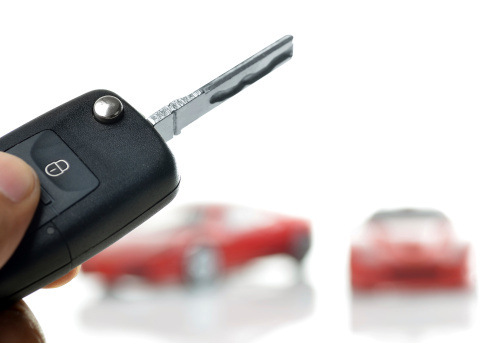 Systems with two-way communication give you visual or auditory confirmation of the alarm status right on the key fob. You'll never have to wonder if you remembered to lock the doors or arm the system. Aftermarket key fobs use advanced technology to offer a significantly improved range -- up to one mile on some systems. The sensor bypass feature lets you deactivate any number of sensors as needed to prevent false alarms. Smartphone integration is one of the most exciting new features in aftermarket automotive security. Specially equipped security systems allow you to lock and unlock, remotely start and monitor your vehicle’s status right from your phone, from anywhere. Remote start is as desirable on cold days as it is in the summer. This feature allows you to remotely start your vehicle with your key fob. Warm up or cool down the interior, defrost the windows and heat up the seats before you drive off. Upgrade to a two-way system that can confirm right on your key fob that the car has started, how long it has been running, time until shut down and interior temperature. Parking meter timer saves you money by signaling your key fob when it's time to go feed the meter or move your car from a time-restricted space. Installers can assign programmable "auxilliary" buttons on your key fob to operate power lift gates, power doors, interior lighting and even garage doors or home security systems. Add automatic one-touch up/down window control, key fob-controlled sunroof/windows and headlight and interior dome light illumination upon entry or exit. Aftermarket features won't disable those from the factory. Vehicle-specific kits fully integrate the aftermarket security system with vehicle electronics like keyless entry, window and sunroof controls and push-button start. Systems can be integrated to work with factory engine immobilizers, turbo or diesel engines, manual transmissions and other on-board components. Professional, certified installers can customize a system to your exact needs. Selecting an MECP-certified installer to plan, install and setup your aftermarket security system is a must. Aftermarket systems are fully transferable to new vehicle when you trade in. You can operate two vehicles with one key fob. Many security systems offer a theft protection guarantee from the manufacturer. 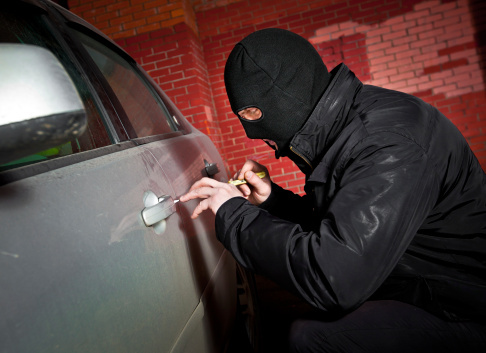 A security system adds to the resale value of your vehicle. Remember, choose a knowledgeable, well-qualified installer to plan and install your new security and remote start system. Look for MECP certified installers and mobile electronics dealers that support the MECP program. Visit DigitalDriver.org to find an MECP-certified installation technician near you.